YOU, Inc.’s Career Pathways Program provides structured academic support and tutoring to students who have dropped out of a traditional high school, with a goal of obtaining a High School Equivalency (HiSET), formerly known as the GED. At the same time, students work with a Career Development Specialist who helps them to develop pre-employment skills, explore higher education or career opportunities, participate in non-paid internships, and become economically self-sufficient. The program is free to eligible participants aged 16-24, funded through the Workforce Investment and Opportunities Act. Two new certification programs are helping to make that goal a reality for our students, with great success – we’ve recently graduated a total of 14 students from our Culinary Arts and Weatherization Installation programs! The Culinary Arts program, offered in partnership with Quinsigamond Community College at the Worcester Senior Center, provided training resulting in industry-standard certifications including ServSafe, FEAST, and Allergen Awareness. To celebrate the completion of their program, students joined family, friends and community members for a delicious meal they prepared alongside their QCC instructors! 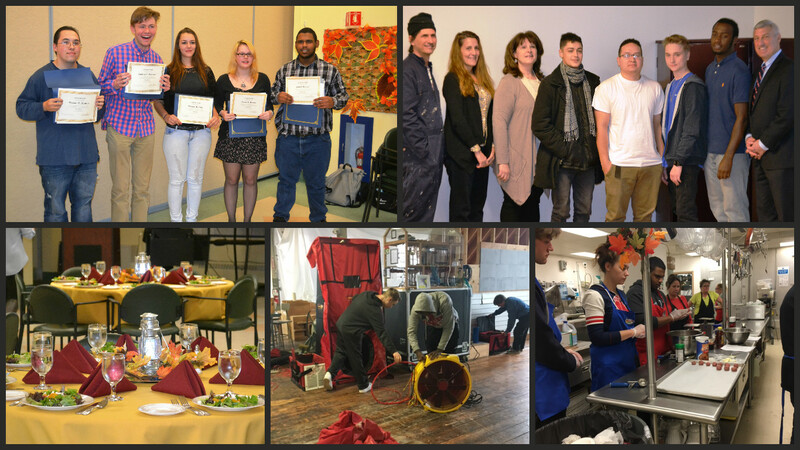 The Weatherization Installation program, conducted in partnership with Green Jobs Academy and the South Middlesex Opportunity Council, offered on-the-job training, work readiness, and remedial skills workshops leading to RRP Lead Renovator and OSHA 10 certification. Our graduates are currently interviewing and apprenticing with some of the more than 200 local contractors participating in the Green Jobs Academy initiative, and are on their way to well-paying careers in a rapidly expanding field. For more information about Career Pathways Program and our certificate programs, contact Program Director Kate Pesa at pesak@youinc.org or508-849-5600 extension 232.